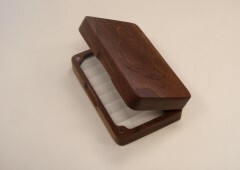 T.Scholl Fine Woodwork’s fly boxes are crafted from kiln dried American Black Walnut (Juglans Nigra). 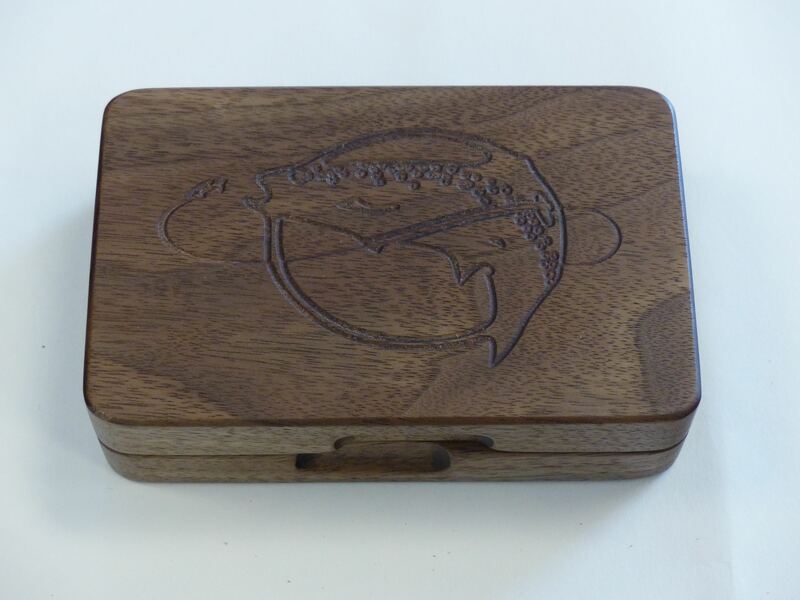 Each box is made from a single piece of carefully selected wood that is end matched to create a uniform look on both the top and bottom of the box. 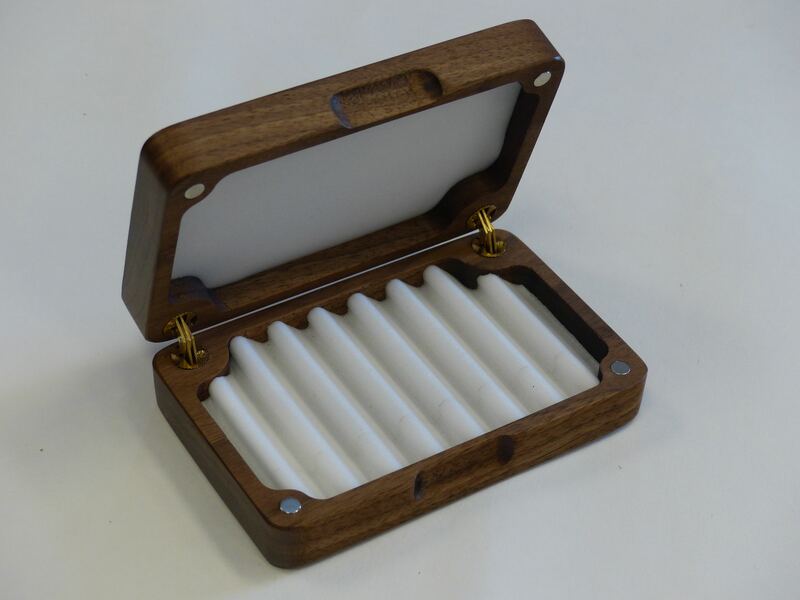 After each box is diligently sanded to 400 grit, they are finished with Rubio Monocoat (a plant based finish) and New England Brown Wax. 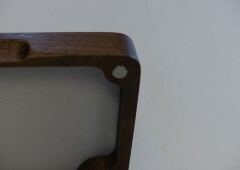 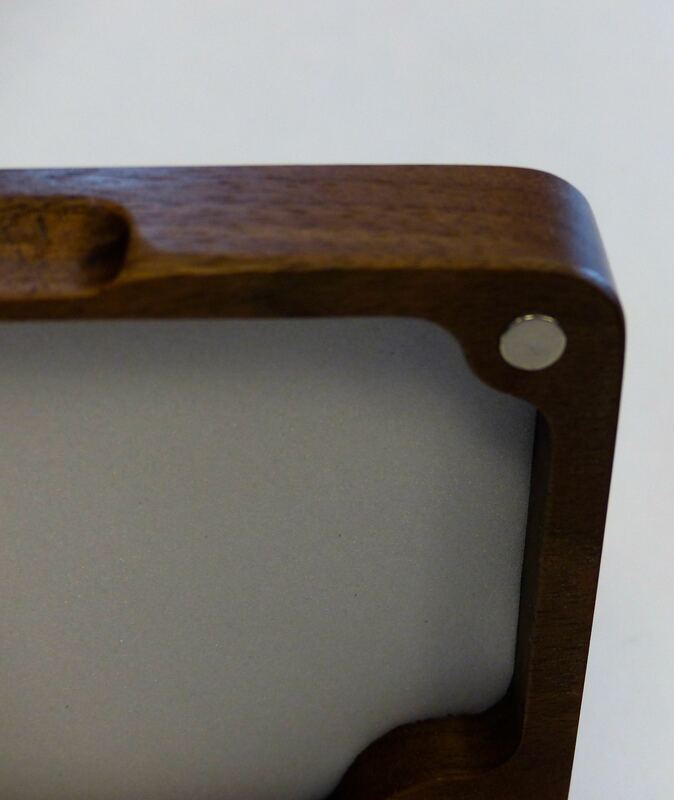 This low VOC finish enhances the natural beauty of the walnut. 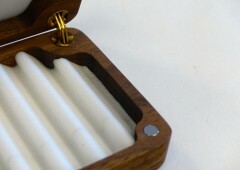 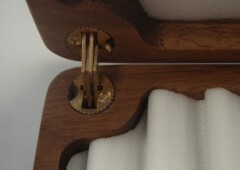 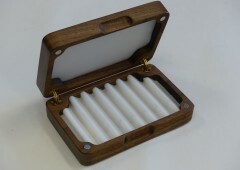 Sturdy brass barrel hinges allow the fly box to open and close with ease. Two inset Rare Earth disc magnets ensure that the box stays securely closed. 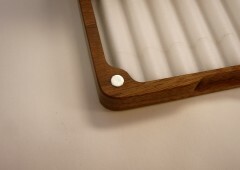 Flies are held firmly in place by durable ripple foam on one side and flat foam on the opposite side. 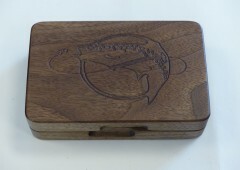 The fly boxes are embellished with a decorative trout carving on the top. 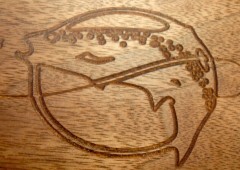 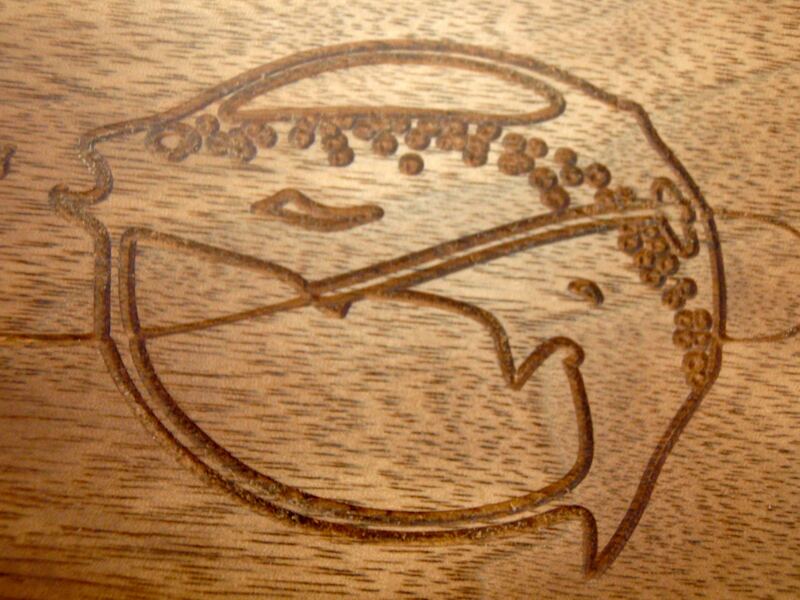 The carving may be customized and alternate wood materials are also available on request. 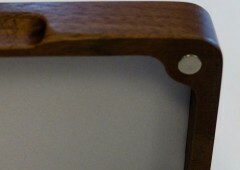 Please contact us to discuss individual requests. Purchase Your Fly Box Today!